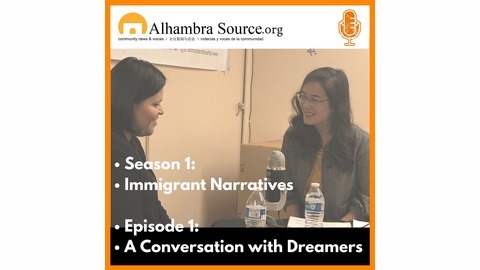 Alhambra Source is a non-profit, independent publication that serves the city of Alhambra, the gateway to the San Gabriel Valley. Follow us for updates and in-depth coverage for and from the #626. Borneo is a large island in southeast Asia's Malaysian archipelago. It's divided between the countries of Indonesia, Malaysia and Brunei. In 2001, Peter Then left the Indonesian side of Borneo, also known as Kalimantan, for a safer life in the United States. When he arrived in Alhambra, the only Indonesian food he could find was from the main island of Java. So he took over a small fish and chips restaurant on Garfield Avenue and transformed it into Borneo Kalimantan. It's now known throughout the Los Angeles area for its rice and noodle dishes like nasi campur and laksa mee Singapore. Then sits down with the Alhambra Source during the lunch rush at Borneo Kalimantan to talk about his long, serendipitous journey from Borneo to Alhambra. He also introduces his new venture, Uncle Fung Borneo Eatery in Long Beach and Buena Park, and talks about mentoring his Uncle Fung business partner, who used to work at Borneo Kalimantan. 0:54 Peter Then explains why he started a Borneo food restaurant 1:19 Then explains the history, geography and culture of Borneo 2:10 Then's immigrant journey from Borneo to the United States 3:10 How Then seized the opportunity to open a restaurant and to feature Borneo Kalimantan cuisine there 4:50 How spiciness distinguishes Borneo food 5:54 The genesis of Uncle Fung Borneo Eatery This episode was produced and edited by Phoenix Tso and Bastian Mendez. Music by @_M_U_D_A_. Support comes from the Tow Center for Journalism at Columbia University. Listen on Soundcloud or Apple Podcasts. 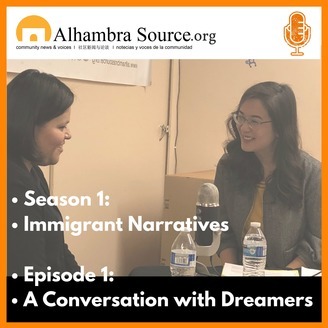 If you like what you hear, please rate and subscribe to the Alhambra Source Podcast wherever you listen to podcasts.